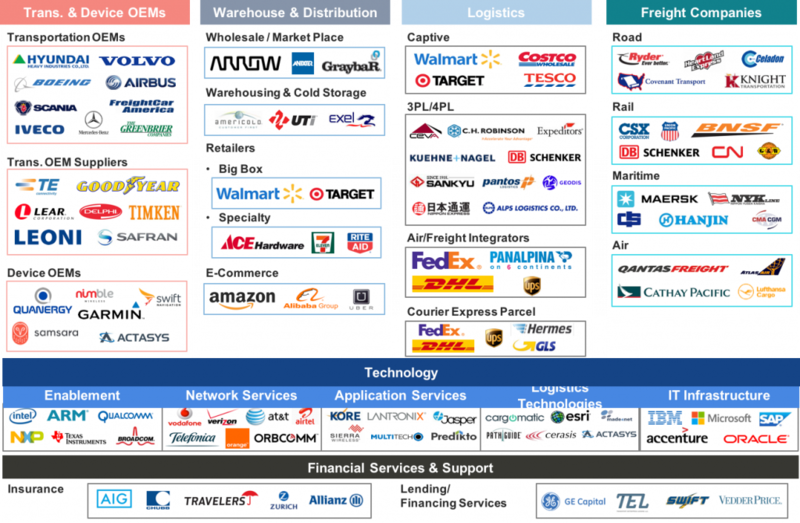 Our work within the Distribution and Supply Chain arena is focused on the transportation and movement of goods including logistics services, transportation services, distribution centers and warehousing, infrastructure, and support services such as insurance as well as the IoT and smart systems technologies that enable applications and solutions. 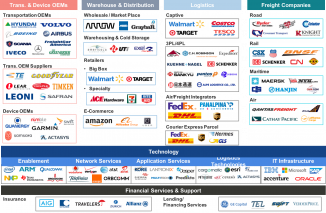 Distribution and supply chain systems can generally be segmented into two broad sectors, wholesale and retail distribution. Within this arena the four major groups of participants are logistics providers, wholesale distributors and related warehouse and distribution centers, freight services providers, transportation equipment OEMs as well as enabling devices including tags, readers, portable terminals, printers, software and related services for tracking packages or handling goods as they move through the supply chain. Solutions in the space today revolve around gaining more visibility or transparency into the states of shipped products, specifically solutions focused on cold chain monitoring, inventory tracking & tracing, package dimensioning and warehouse management. 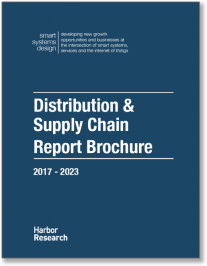 Distribution & Supply Chain participants are facing a growing number and diversity of shipments each year, largely brought on by shifting consumer & B2B preferences enabled by e-commerce and on-line shopping. This shift is accelerating the flow of goods from warehouses to the end customer, requiring sophisticated systems, from warehouse management to track/trace, which allow businesses to choose the best route-to-customer based on available shipping resources and delivery location. 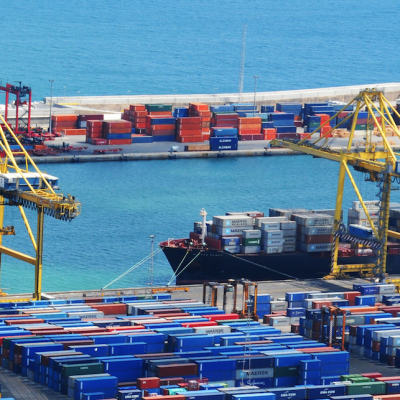 Many supply chain participants today operate in closed ecosystems making it difficult for partners along the delivery path to capture valuable data on package location to improve the quality and reliability of shipping operations. 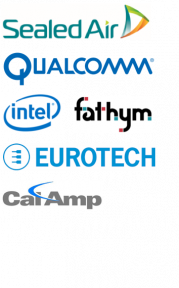 As we look forward, we expect increasing pressure from buyers to have insight on time-to-delivery and package condition/health, driving supply chain and shipping services participants towards more open ecosystems that leverage partner resources to get materials and products from point A to point B. For many participants in this arena, their focus is progressively shifting more to end customer experience, including growing interest in creating new “out-of-the-box” experiences, increasing customer convenience and providing responsive, flexible returns and multiple channel options. Smart systems, services and IoT technologies are enabling widespread digitization and integration. As customers’ interactions with retailers are supported with a growing number of channels, diverse fulfillment, distribution and delivery points will increasingly require integrated digital and physical inventories and transportation tracking.